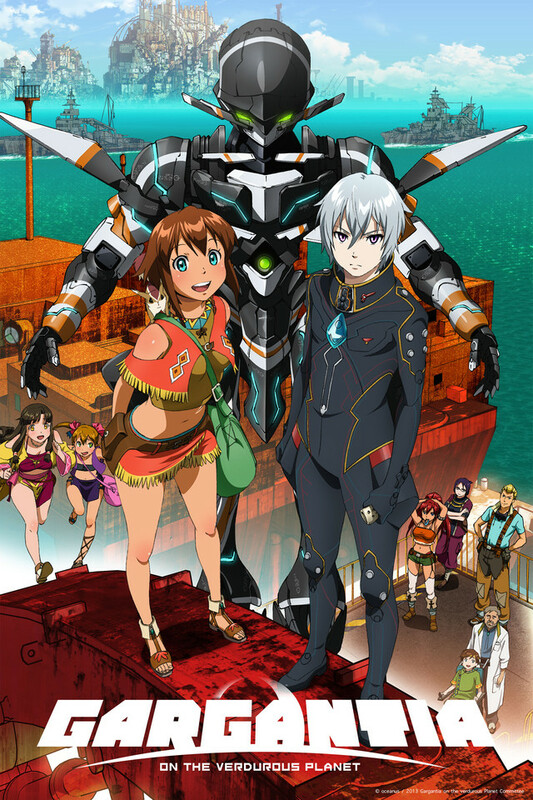 Gargantia’s had a pretty even keel in its story up until this latest round of episodes, where it’s added several twists to the mix that have left me wondering just where this show will go. After Ledo kills the whalesquid in episode seven, he is faced with the social backlash such brutality of a sacred creature incites. This sparks a division in Gargantia as Pinion capitalizes on the awkward predicament and promises Ledo the opportunity to kill as many whalesquid as he likes. Ledo does so and in the process learns the troubling backstory to both the Alliance and the Hideauze. I must admit I didn’t see this twist coming and got hit broadside with it, much to my delight. The reveal and exposition were very well-done, and framed as it was in the slaughter of the whalesquids, when episode nine closed I was left squirming alongside Ledo. Episode ten leaves us with a power-mad Pinion, the resurrection of some tech that’s probably best left to rot on the ocean floor, and Ledo questioning his role in life. Chamber has remained unmoved by the revelations and I can’t tell if his logical breakdown of the situation has swayed Ledo or not. The technical aspects of Gargantia remain superb – the animation and sound are spot on, and the characters are believable – but this late introduction of a figure from Ledo’s past, what appears to be a cult, and the almost cursory nods back to Gargantia’s fleet with Amy showing no signs of going to Ledo (as I’d first expected) I’m wondering if the titular city is now obsolete. It is going to take some very good explanation and with only three episodes left in the season – there’s no word on a second season yet – I’m actually worried. This tipping point could really bring the series home or it could take an incredible nose dive straight into the ground. There’s a lot going on and nothing terribly defined… it feels more like the first few episodes of a season or the ramp up to a cliffhanger that links into another season than it does the second half of a single season series.